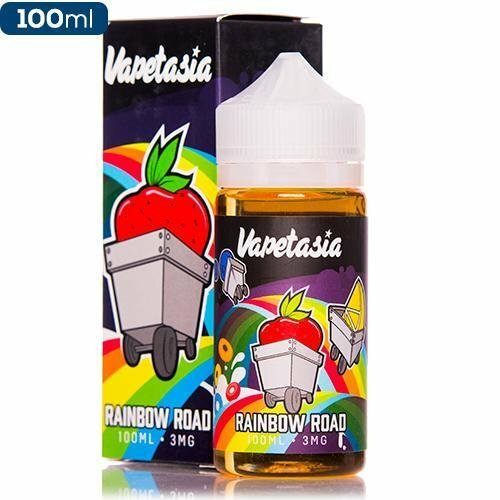 Vapetasia brings back their fan favorite cereal eliquid Rainbow Road! Bringing you your taste buds the classic combo of a berry cereal. Now offered in 100ml Chubby Gorilla Unicorn bottles with an all-new label design. Grab a bottle of Rainbow Road eLiquid today!